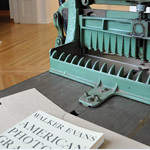 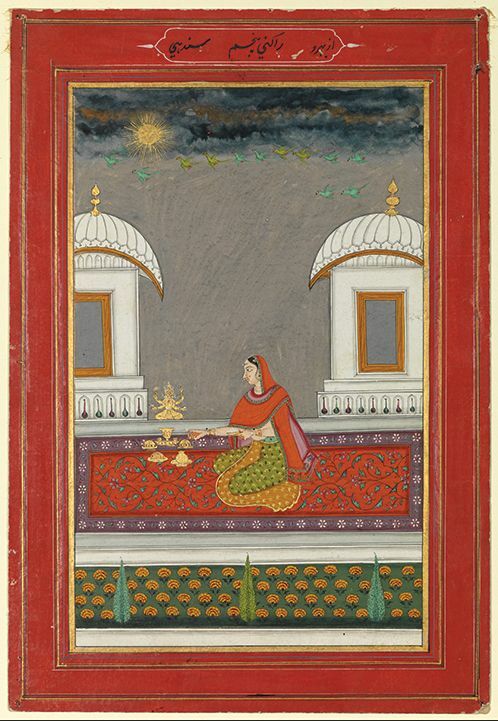 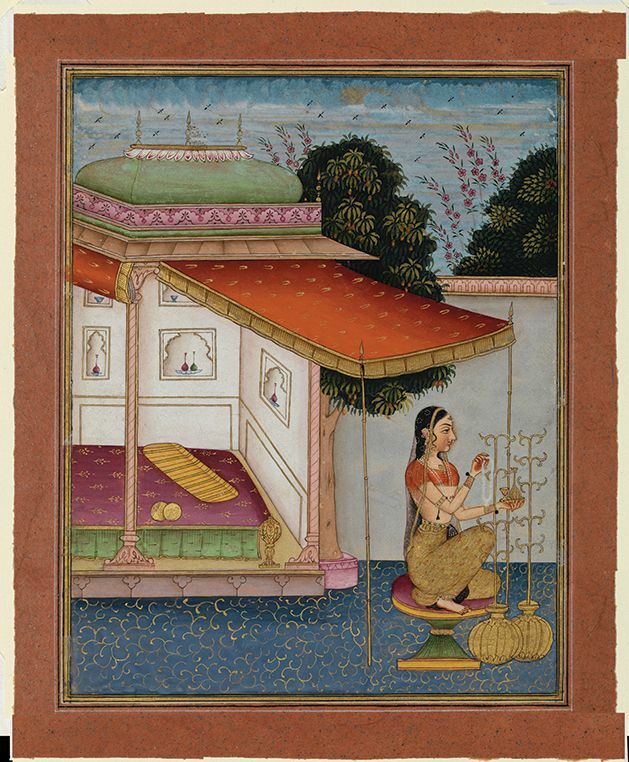 The sound of a sitar emanates from a first-floor gallery of the Williams College Museum of Art, beckoning visitors to an exhibition of 16 tiny Indian paintings that meld art, music and poetry. 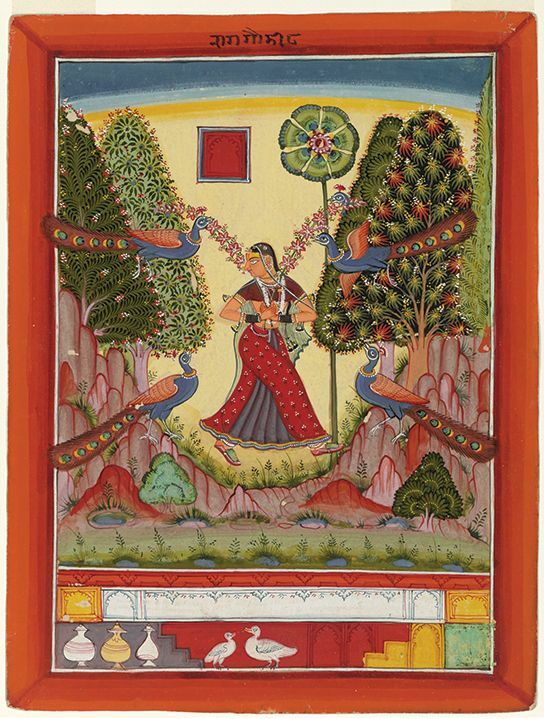 The people depicted in the paintings are without expression, but the worlds—and words—around them are rich and colorful. 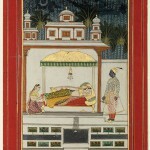 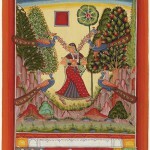 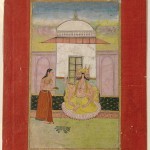 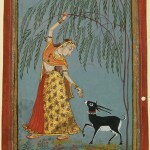 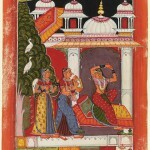 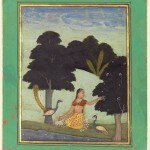 The paintings are part of the museum’s collection and come from the centuries-old tradition of ragas, which are improvised melodies based on five or six musical notes. Each raga is associated with a different season and a different time of day. 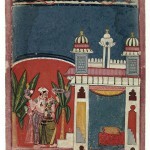 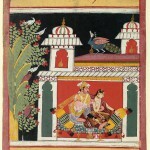 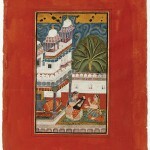 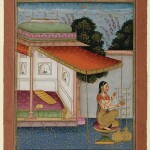 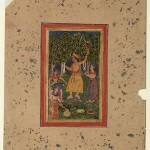 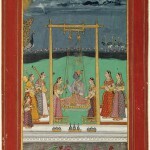 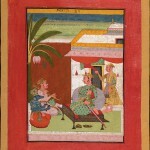 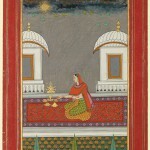 The ragas were played in courts across Northern India. 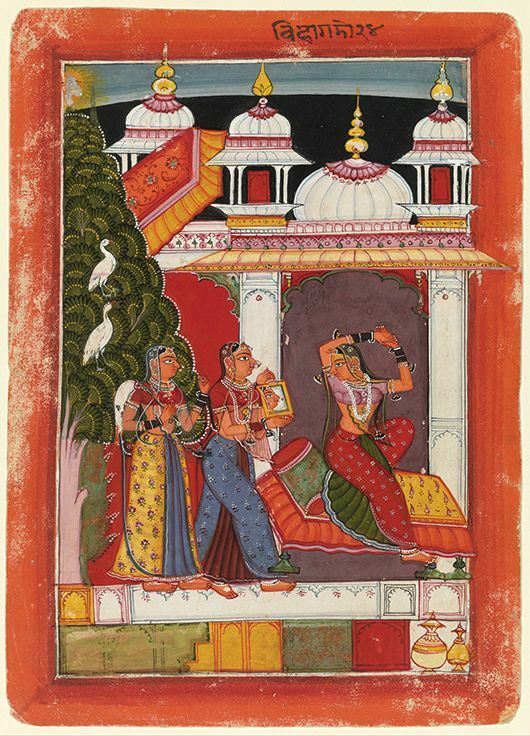 Poets personified the ragas, keeping in mind their specific scales, pitches and melodies. 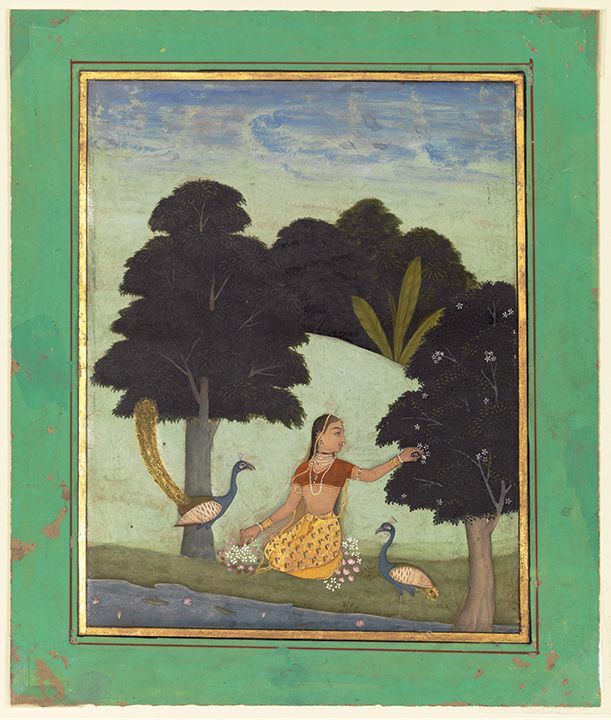 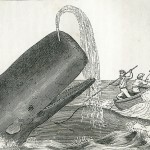 Then artists in the late 15th through 19th centuries created paintings of figures inspired by the poetry, depicting kings and their wives, deities and hunting scenes, often inscribing the text of the poem around the edges of their artworks. 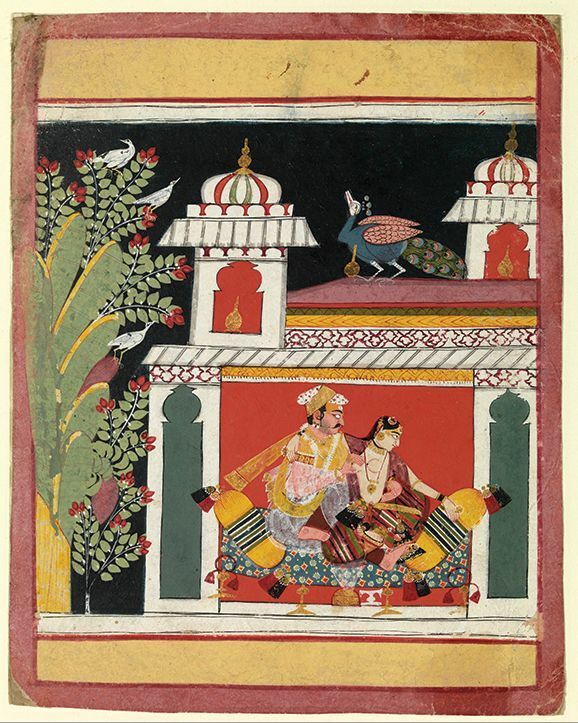 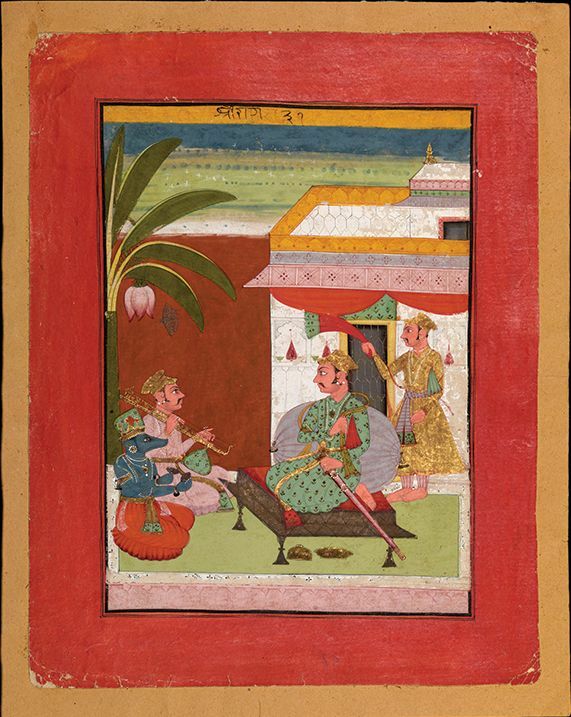 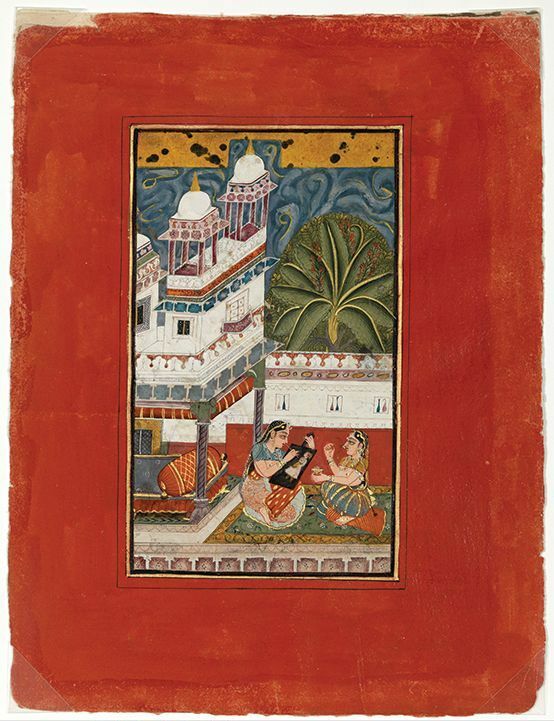 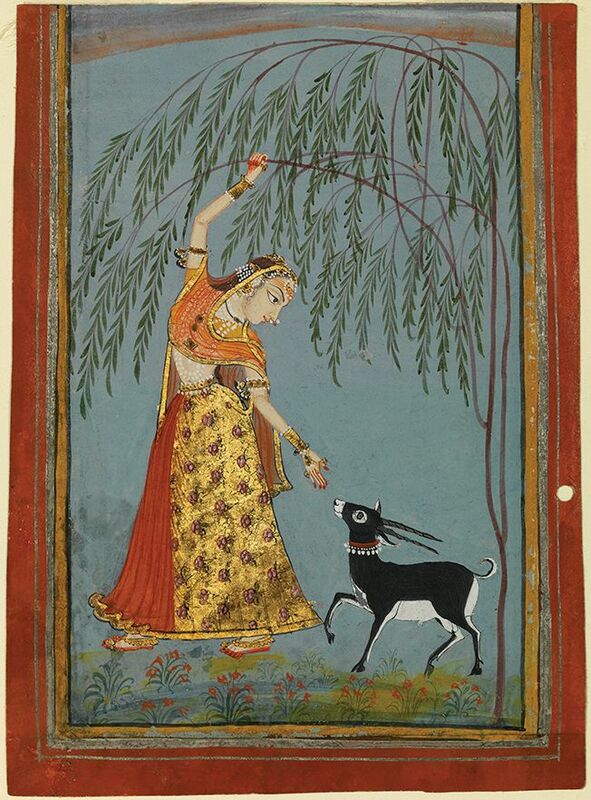 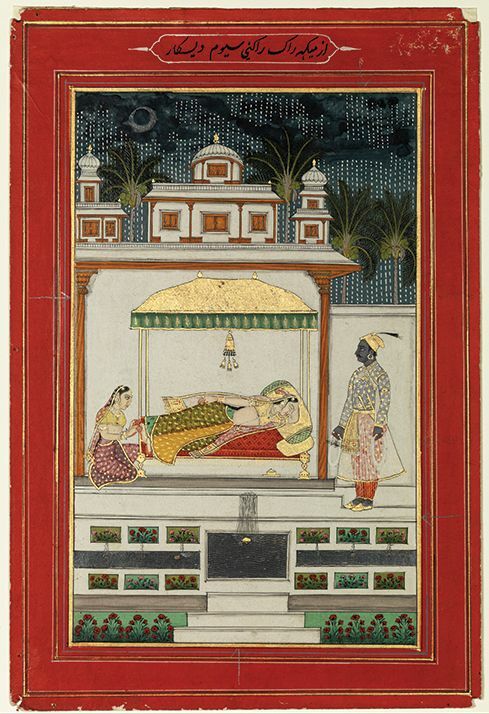 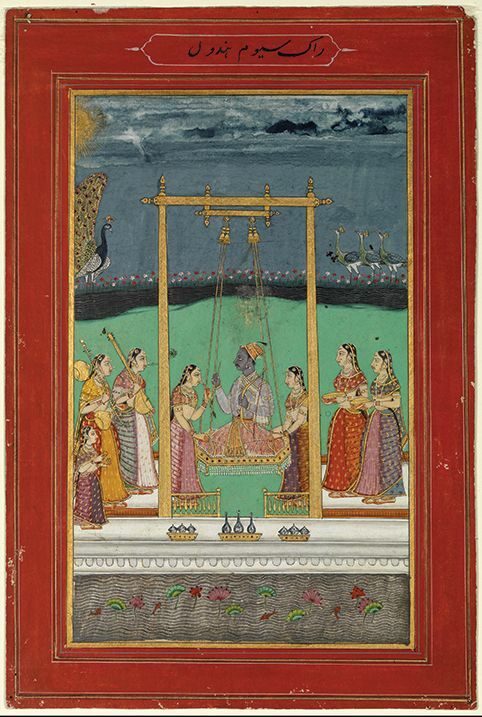 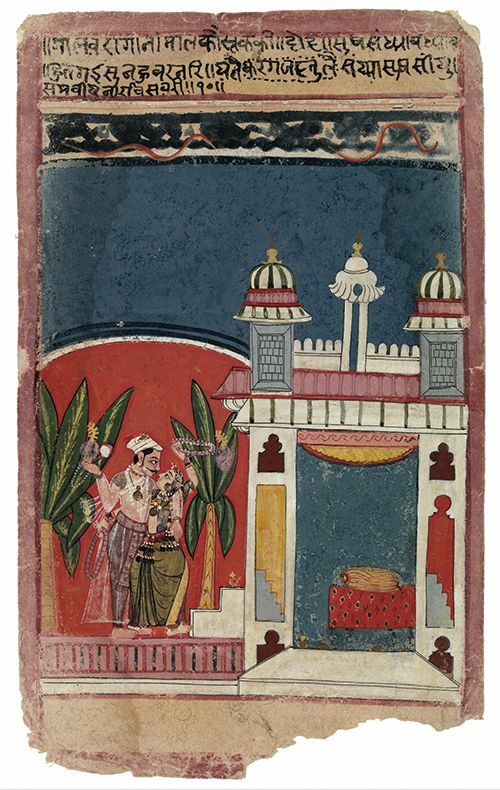 The paintings were bound into collections—called ragamalas, which is Sanskrit for “garland of ragas”—for the wealthy and powerful to view. 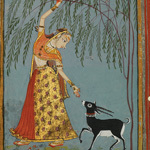 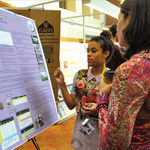 WCMA’s exhibition “Musical Garlands: Ragamala,” on view through Jan. 4, provides many opportunities for Williams students to learn about South Asian music, culture and history. 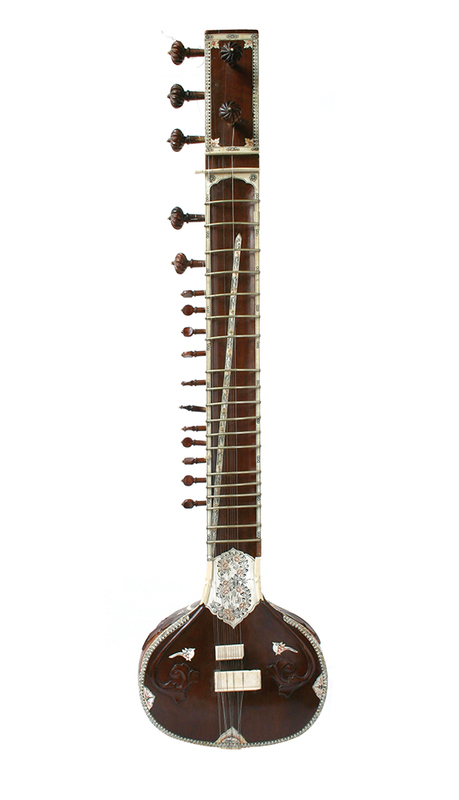 In October, W. Anthony Sheppard, professor of music, presented an overview of the ragas that featured a live performance by Veena and Devesh Chandra, who, as part of the music department’s new offerings in Asian instrument lessons, teach sitar and tabla to students. 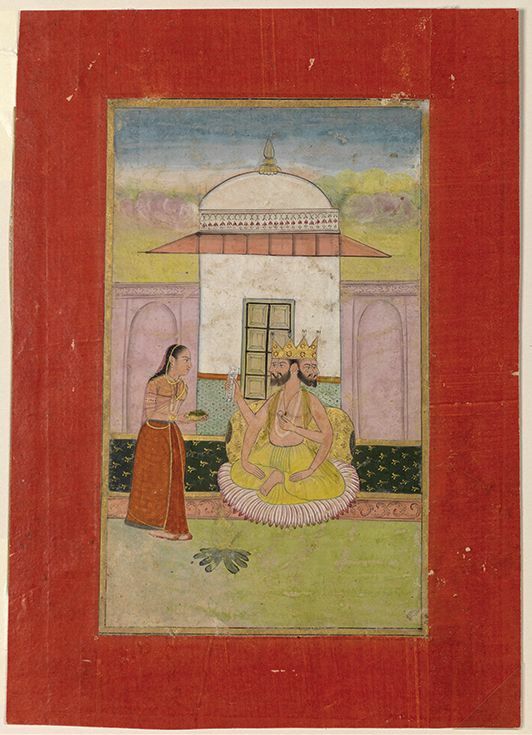 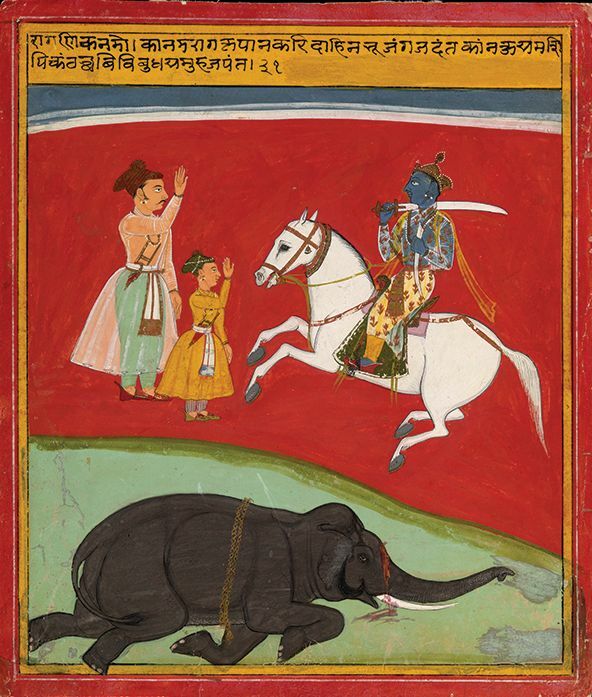 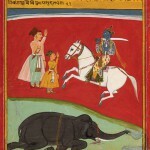 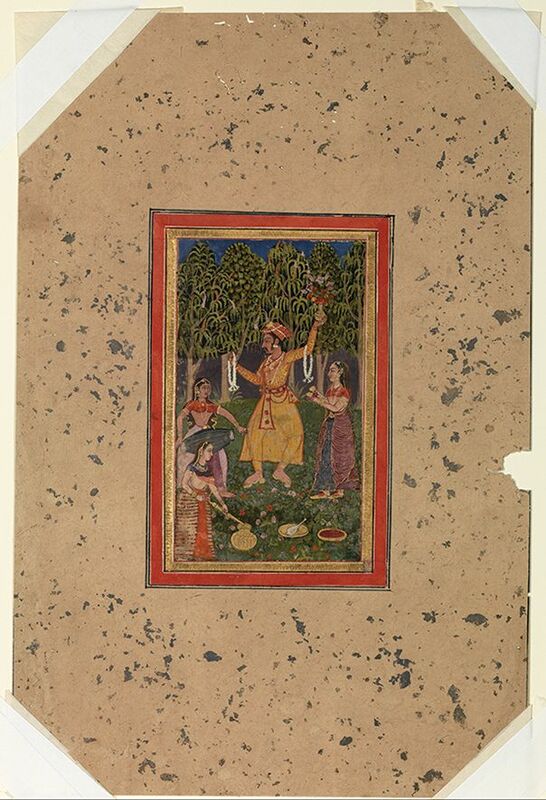 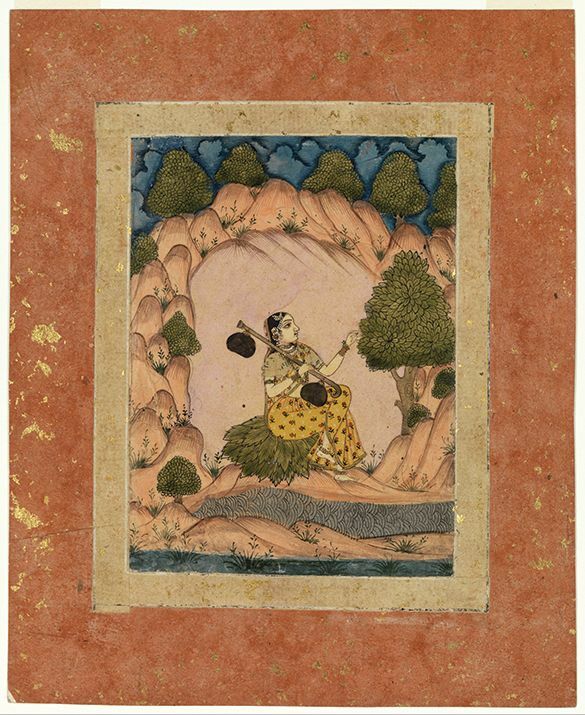 Meanwhile, history professor Aparna Kapadia has incorporated the exhibition into her fall-semester course “History and Society in India and South Asia” as a way to demonstrate the aesthetic connection between music and art that emerged in India from the 14th century onward. 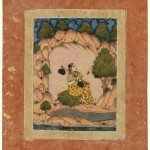 Listen to a raga and learn more about its poetic and artistic connections.